With the brand new year, it's a goal of mine to feature more young artists, designers, photographers, and crafters under the age of 25. 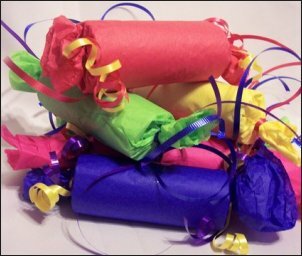 So starting this past summer, I set up an account at Etsy.com and have found a lot of young people who are selling their homemade crafts, fashions, jewelry and accessories, art work, photography, graphic design, and even supplies, patterns, and vintage items. Since Etsy is so much fun to browse, buy, and sell cool homemade items (and lots more), I decided I'd spotlight some of the hot young entrepreneurs I've been in contact with so far. 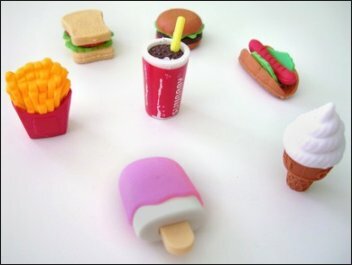 You may avoid fast food in real life, but these are the cutest fast food erasers I have ever seen! Okay, they're the only fast food erasers I've ever seen. Joyce creates some super-cute sushi, ice cream, and popsicle erasers and earrings, as well as felt flower clips. In addition to her Etsy shop, feel free to visit Joyce's website at http://moogugu.weebly.com for more hott jewelry items. She also loves and sells origami! Bonjour! 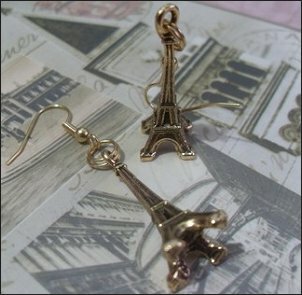 If you're a fan of Ol' Paree, you'll definitely want these elegant Eiffel Tower earrings. FunnyPeopleCo was started by two sisters, Sophie and Louie, offering bracelets and earrings in a variety of styles, as well as plaid messenger bags. Buttons, beads, and Asian charms? Only at FunnyPeopleCo. Feel free to add Sophie and Louie on MySpace. (http://myspace.com/funnypeopleco) and visit their blog (http://diaryofayoungdesigner.blogspot.com/). Ashley designs everything from cherries and mushrooms to toast and zombie candy corn, as well as puppies and full-sculpted figurines out of polymer clay! 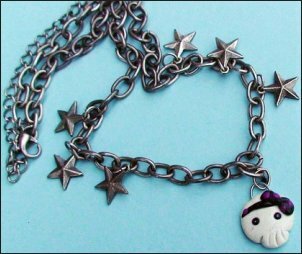 She offers a few charms as jewelry pieces, but you can also attach her cute charms to your cell phone or keychain. She also enjoys custom painting figurines. You can see a lot more of her work by visiting her Etsy shop or blog at penguinsplunder.blogspot.com. You've heard the term "going green" so many times, but it's obvious Lyndsey values the act of recycling with her beautiful open book wall art. 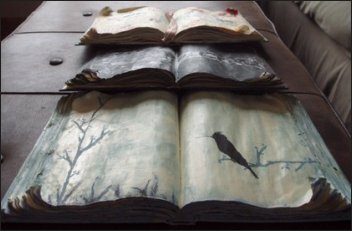 These books were going to be trashed by a company that went out of business, but she's transformed them into interesting art. She combines her painting skills and ingenious imagination to create her masterpieces. Her shop is still new, but she sells a variety of hand-painted items, including some cute PacMan shoes! 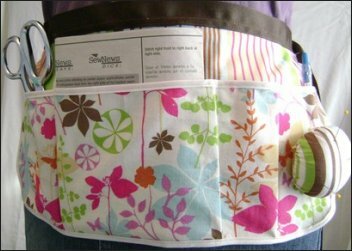 Lydia sells sewing aprons and sewing patterns perfect for any new or experienced fashion designer. She has been machine sewing since she was 7 years old, and sold her very first item at the fresh age of 9. Besides aprons, she also sews quilts, clothing, and curtains. 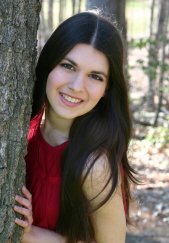 Lydia also enjoys paper crafting, and she occasionally knits, crochets, cross-stitches, and embroiders when the mood fits. Aren't these animal greetings just the cutest? 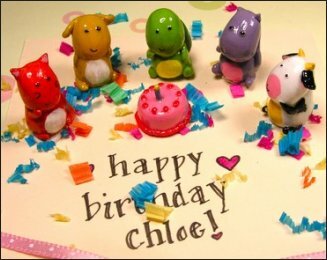 You can customize the message to say anything you wish, whether it's "Happy Birthday" or "Get Well Soon". The tiny animals are made from polymer clay and hand-painted with acrylic paint and glaze. Jessica runs this shop with her boyfriend Andrew, who's also 22. What a cute team! Besides their cute polymer pieces, these two college students design earrings and other goodies. M&M earrings, anyone? Tessa's boo boo kits will definitely come in handy the next time you're babysitting. When one of the kids gets a boo boo, just tear open one of these life-savers. Inside you'll find a sucker, band-aids, and stickers sure to make any young child brighten up and forget about the pain. Valerie has been making jewelry since she was 15 years old. She designs a variety of jewelry types including earrings, bracelets, necklaces, and rings, even selling religious/Christian jewelry! 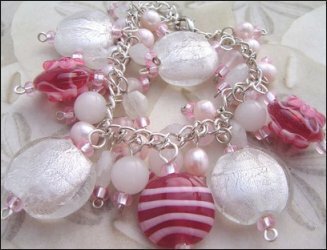 She really cares about making a difference, which is why 75% of the proceeds for this charm bracelet and other pink items in her Etsy shop will go to the Canadian Breast Cancer Foundation. Way to go, Valerie! If you're an artist, designer, photographer, or crafter under the age of 25, and would like to be featured in Sweet Designs Magazine, please contact us using the form below. Etsy does have a few basic rules about those under 18 having buying and selling accounts on their website. I quoted them below for your convenience. 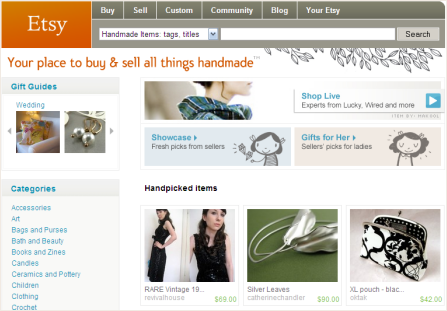 If you have any questions or concerns regarding starting an Etsy account, please contact support@etsy.com. You must be at least 18 years of age to hold an account on Etsy. If you are under 18, you must have the permission and supervision of a parent or legal guardian who is at least 18 years of age; that adult is responsible for the account. Anyone who is at least 18 years of age can be a seller on Etsy. If you are under 18, you may use Etsy only with the permission and supervision of a responsible adult (parent or legal guardian). This is for legal reasons, not because we think kids or teens are any less creative or capable.